You need to be a member of NanoScience Education to add comments! Of course it is up to you what would you do if you were getting "a lot of money". But hundreds of scientists worldwide each year chose NT-MDT microscopes. Denis, OK. After your explanation I finally have found the info, thank you very much for your response. But as I understand, here is discussion of probe microscopes in education. And in this case the price is very important. If I have a lot of money for science I prefer to buy Bruker or Asylum Research. The information is not “hidden”, you can just view the specs here: http://www.ntmdt.com/device/solver-nano (SOLVER NANO is a scientific version of NANOEDUCATOR II). 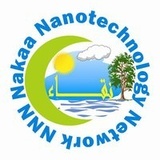 By the way, if you are interested in working in liquid environment or with temperature control or use nanoindentation with diamond probes or use a wide range of other scientific options you can just go to professional SCIENTIFIC microscopes of NT-MDT like SOLVER NEXT (http://www.ntmdt.com/devices/text/specification-22) or NTEGRA (http://www.ntmdt.com/platform/ntegra). I hope you will not say that FemtoScan can compete to professional scientific devices? And just one clarification – am I right that FS can operate with conductive wire in STM mode ONLY? Or it can use this kind of probe in both STM and AFM mode?